Two of boys favorite brands Hot Wheels and Star Wars have joined forces! 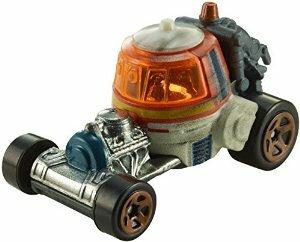 Kids and collectors alike will love seeing their favorite Star Wars characters reimagined as Hot Wheels cars. Each 1:64-scale car is individually designed to retain the Force of an iconic Star Wars character and combines the thrill and real racing excitement of Hot Wheels.